Gone are the days when Abercrombie & Fitch were known for their activewear. Sweatpants, sweatshirts and polo's are no longer the first thing that springs to mind when I picture the brand. Instead I've been overcome by the sheer fashion element that's been injected into their new season pieces. From 70's inspired embroidery and peasant silhouettes to 90's layered slip dresses Abercromie are well on their way to filling up my wardrobe with hero pieces. 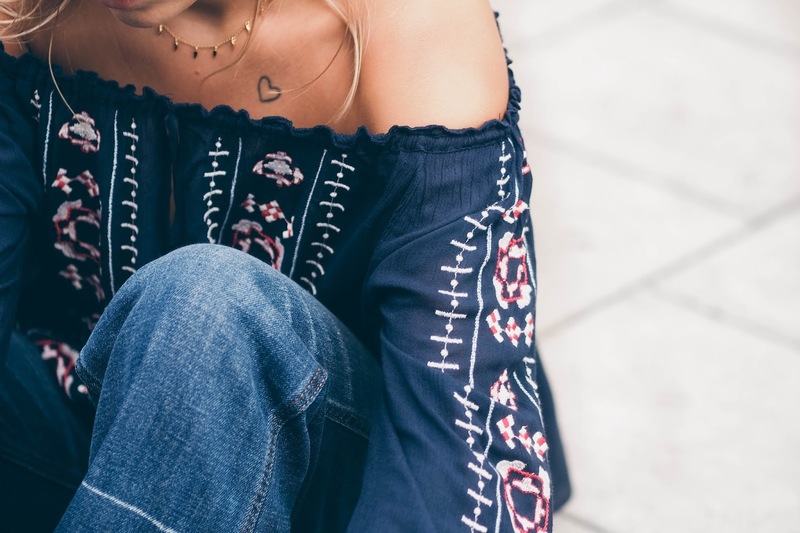 This navy embroidered off the shoulder top is exactly the type of bohemian silhouette I love to rock during Summer. It's light (score) It's elasticated (no digging in) and the floaty silhouette means it's the perfect piece to wear during Dinner. (I know you know what I'm talking about.) It also comes in white, too. 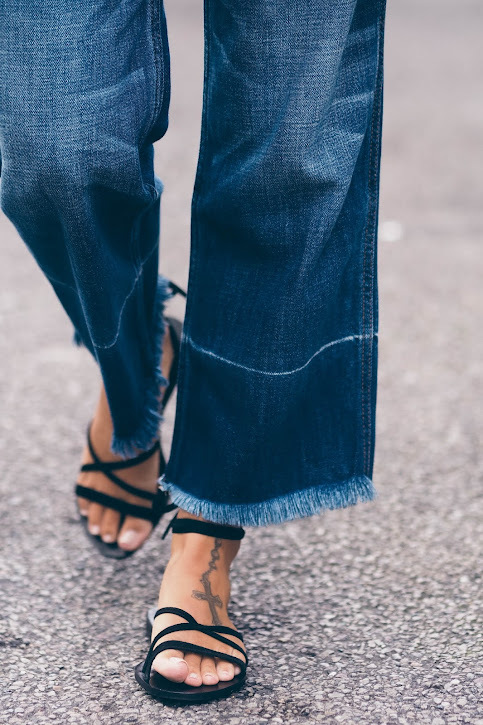 I like to look at cropped jeans as my first love-you'll rarely see me in a pair of skinnies now a days. So, when these high waisted cropped jeans came to my attention on the "New In" page, I was instantly sold. The medium wash means they're super versatile for any colour palette and the slight frayed edge and faded hem make them super on trend-winner! This post is in collaboration with Abercrombie and Fitch but all words and opinions are my own. I haven't shopped in Abercrombie for years. All I remember are the polos in every colour you can think of, love these jeans though! I've been searching for a pair of new jeans recently, and would never have thought to look to Abercrombie until I saw these on you! Adore that top! I have one similar and its one of my fave things in my wardrobe! Grand casual look. It will be great to go for a walk, to meet friends.writing services It is comfortable and cute.